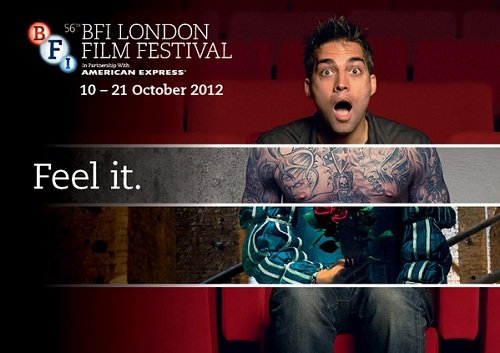 Newly reformatted and revitalized for their 56th annual outing, the 2012 BFI London Film Festival was a huge success and featured the largest ever audience. 149,000 audience members attended in 2012, up from 133,000 in 2011. Clare Steward, Festival Director, was responsible for the introduction of a revised structure, updated competitive sections and a shorter festival length in her first year at the helm. To counteract the shorter duration, the physical footprint of the festival expanded with four new venues. New classifications for the participating films were added —cult, dare, debate, family, journeys, love and thrill — to make it easier for attendees to choose from the 228 features on offer. The London Film Festival is the biggest annual event for the British Film Institute, an organization dedicated to promoting current British talent and films and cultivating the next generation of audiences and film makers. Audience members come from all walks of life from film enthusiasts to current acting school students to journeymen filmmakers and established celebrity auteurs. For 2012, four films took home awards and two filmmakers were honored with fellowships. Fellowships are considered the highest honor awarded by the BFI. This year's recipients were Tim Burton and Helena Bonham Carter. They were honored independently, despite their frequent professional collaborations and long-term personal relationship. Sir Trevor Nunn presented Helena Bonham Carter with her Fellowship award. Like Burton, she was also at the festival to represent her latest project, "Great Expectations", which was screened at the closing night gala. “I am somewhat bewildered and not sure that I am deserving of such an honour as a Fellowship from the BFI, but shall accept it with deep gratitude,” she said. Best Film is awarded for the most original, intelligent and distinctive filmmaking at the festival. The title went to the Jacques Audiard film "Rust and Bone." Oscar winner Marion Cotillard stars in the love story between two people who have just experienced their own tragedies. This award may go to a writer, producer, actor, actress or director. This year it was awarded to Sally EI Hosaini, who wrote and directed "My Brother the Devil," about young British-Egyptian brothers living amidst gang culture in London. This mean streets drama brought grit and strife to the screen and was hailed by critics throughout the event. The film currently holds a 100% Fresh rating on RottenTomatoes.com. Only directors debuting their first feature-length film are eligible for The Sutherland award, which goes to the most original and imaginative film. Director Benh Zeitlin was honored for "Beasts of the Southern Wild," a narrative film about a six-year-old girl who goes in search of her mother after an army of prehistoric creatures are released into the world. The Grierson goes to a documentary demonstrating integrity, originality, technical excellence or cultural significance, and needs to be a feature length documentary. This award went to director and screenwriter Alex Gibney for his film "Mea Maxima Culpa: Silence in the House of God." This film looks at one case of pedophilia originating in a Catholic church in Milwaukee and examines the nature of the church hierarchy in relation to this very sensitive issue. Guest Blogger: Gigi Jones An Indie filmmaker and fan of Kevin Smith's low-budget production business model, Gigi writes film reviews for online film blogs when she's not on a shoot.